It’s easy to get hung up on choosing the perfect name for your characters when writing a novel. 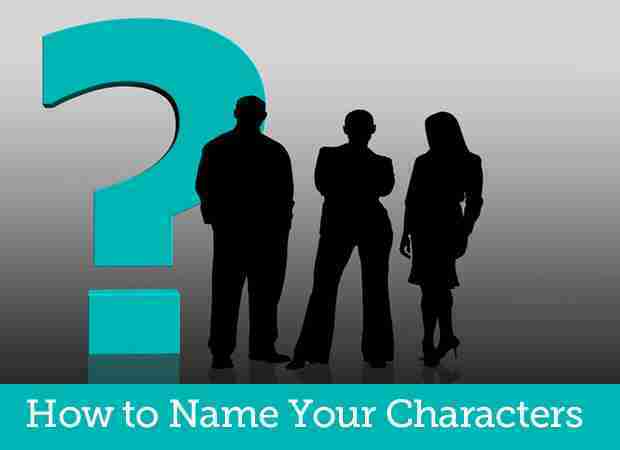 If you’ve ever found yourself spending hours researching or antagonizing over what to name your characters, this list of tips will hopefully help you avoid common name mistakes and find that perfect name in no time. Think About Your Setting: The time period and location of your story will have a huge impact on the appropriate name for your character. For example, someone in the future would not likely have an old-fashioned name that was popular in the 1800’s. When choosing last names, it’s important to consider the person’s heritage and country of origin. Resource: Wikipedia has a great resource for surnames by country and region here: Surnames Resource. Keep it Easy to Say and Spell: Imagine someone at a book club discussing your novel. Can they pronounce the characters name? Is it easy to spell and write out? Try to avoid using clever misspellings, as this may confuse readers. Personality of the Name: Certain names may reveal personality traits about your character without you having to do much back story. For example, a formal name may be suitable for a doctor, lawyer, or attorney in your story. Google the Name: You might think up of a great name like “Lance Armstrong” – not remembering it is the name of a famous cyclist. Always do a little research of your character’s name on Google to assure you don’t end up using someone’s real name unintentionally. Be Cautious With Nicknames: Some nicknames are common and need no introduction, like “Bobby” for Robert. But if the nickname is not obvious, you may need to write into the story why the character has the nickname. Give Each Character a Distinctive Name: Be careful about using the same starting letter for characters in your book. For example, my three children all have names that start with the letter “E” – this really confuses people about who is who, and it will also confuse your readers if your characters are named Andy and Andre for example. Ask for Feedback: Ask people who know nothing of the story what they can imagine about the name. When I was naming my children, I would do this with other members of my family and they would tell me all sorts of interesting things on how they associate the name. Keep a List of Names: You never know when you might find a good name to creatively use or borrow part of. This list can be excellent for developing future stories or novels. It can also save much time when you are trying to decide on a name. Consider Purchasing a Baby Naming Book: These can be really helpful when you’re stuck for name ideas – and they also give the meaning of the name and the uses. Check out a few at your local library and then decide on which one to purchase for your writing bookshelf. Do you have any tips for coming up with the perfect name for your characters? Share your thoughts in the comments section below! It just occurred to me that some names are exclusively for either male or female while some are unisex. Also certain names are common with adult folks while others suit young people better.